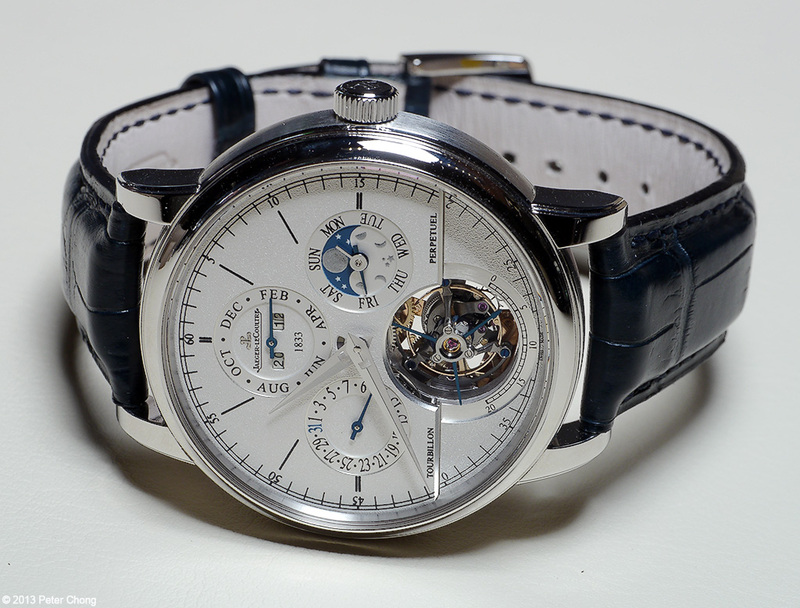 Jaeger LeCoultre's offerings this SIHH produced some of the interesting highlights of the show for me. The latest Gyrotourbillon 2 was unveilled...but only 2 pieces were made...one on the showcase, and the other on CEO Jerome Lambert's wrists. 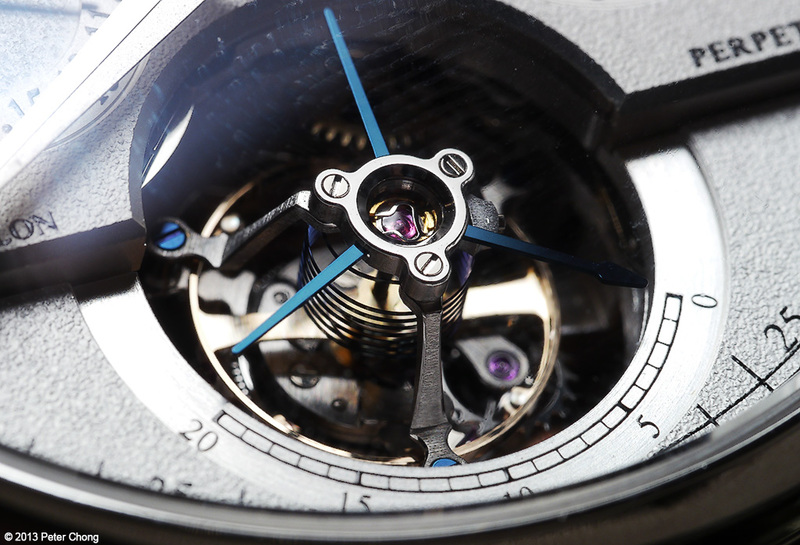 So, interestingly similar in strategy to ALS, no photography of the Gyrotourbillon 3. I only got to see the piece in the window, as this time, I did not have a private audience with Jerome. So, its a series of facelifts which drew the attention. The most complicated amongst these is the Master Grande Tradition Tourbillon Cylindrique à Quantième Perpétuel Jubilee. 180 piece limited edition. 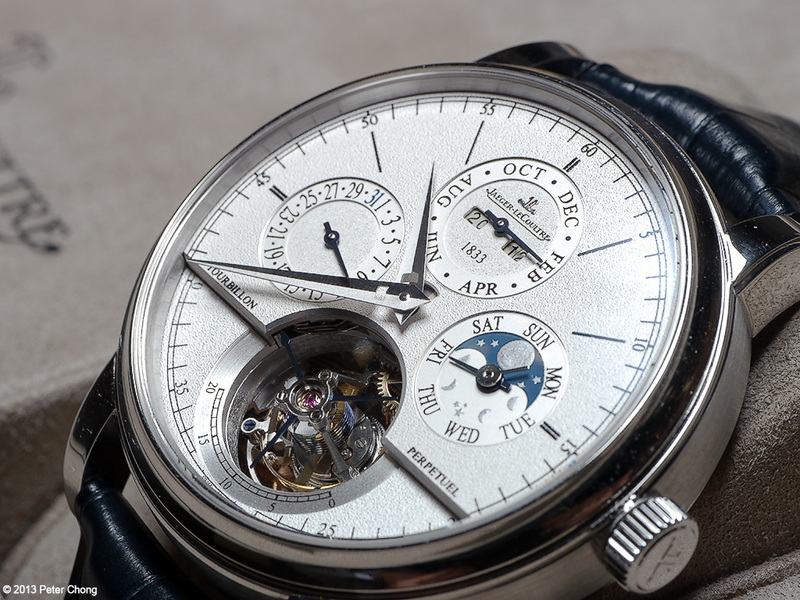 Quite a magnificent timepiece. 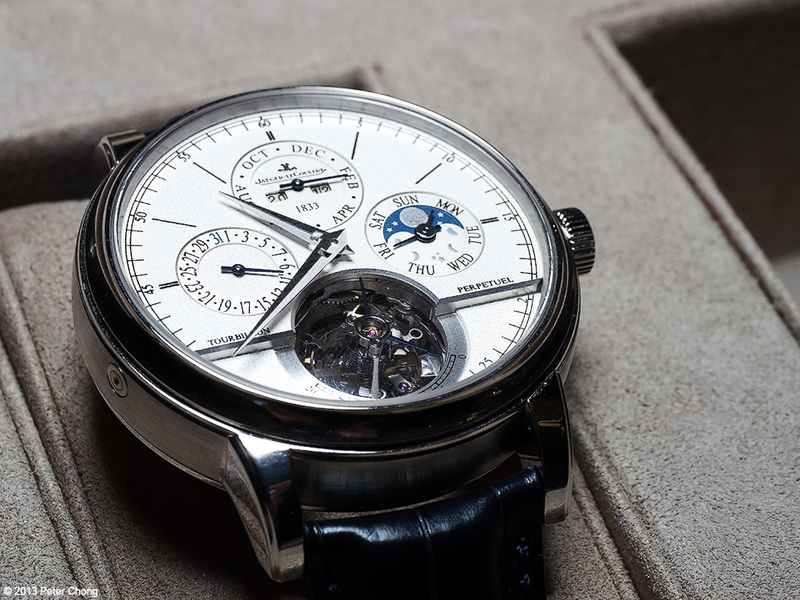 With a full perpetual calendar, multi layer dial, and a cylindrical tourbillon. I love the way the dial is made...multi layer, with a nail head finish on the main surface, polished subdials, and a step to highlight the tourbillon. Notel also the 4 year display, and the little cutouts on the hands to allow the leap year indicator to be visible. 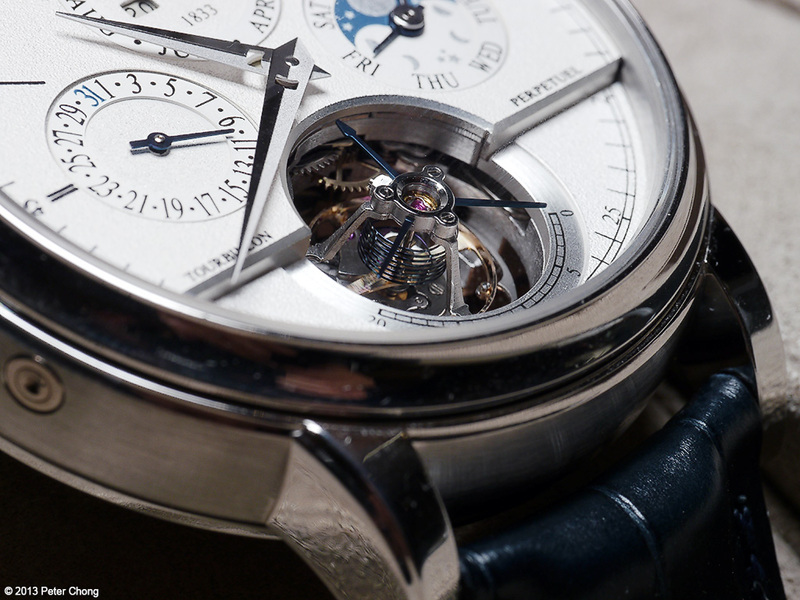 The tourbillon is flying, two axis, first developed for the Spherotourbillon of 2012, though this one is only single axis, it is also flying and features the same cylindrical hairspring. I find the tourbillon mesmerising to gaze at. 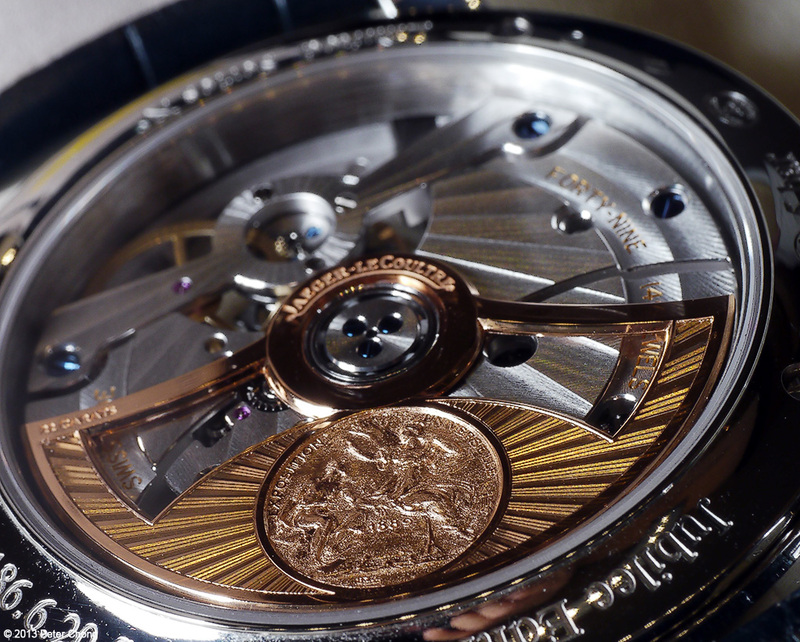 The automatic movement from the display case back shows the rotor, engraved with the medallion which JLC won in the universal exposition in 1889.